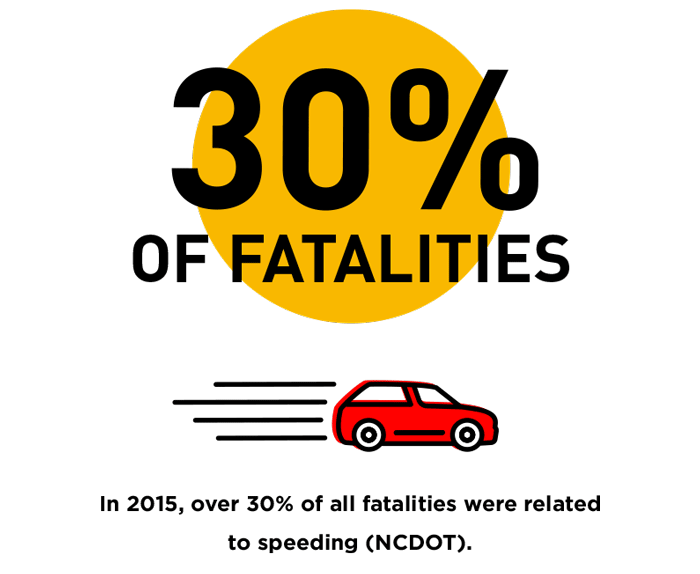 At faster speeds, small changes on the roadway can have big consequences. Following the speed limit allows for best handling of the road design and gives you the time you need to react to other drivers around you. Follow the speed limit to decrease your chances of crashing. Why follow the speed limit? 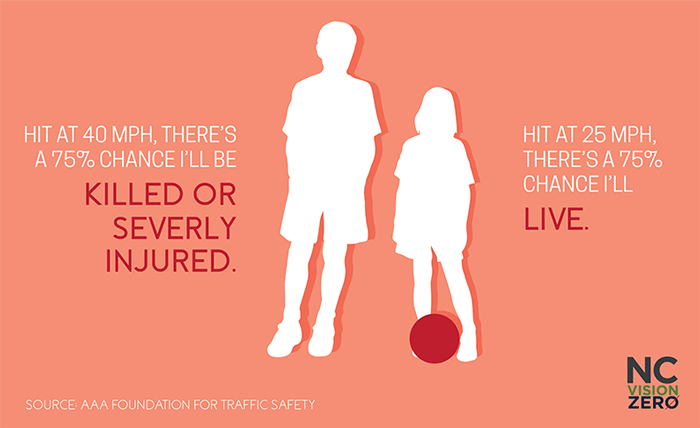 Because a difference in a few miles per hour can be the difference between life and death. Adjust your speed based on weather. Adverse weather impacts safe speed. In bad weather, the necessary stopping distance increases. Rain? Snow? Fog? Leave more space. Drive slower. On the road, conditions can change quickly. Other drivers are unpredictable. One of the best things you can do to prevent a collision is to keep a safe stopping distance. More stopping distance = more time to react to situations. At 55 mph, you need 265 feet to stop your vehicle. While driving, it takes a total of 1.5 seconds to see an obstacle in the road, decide to brake, move your foot to the brake pedal, and begin to brake. Traveling at 55 mph, your vehicle travels 121 feet in that 1.5 seconds. In dry conditions, once the brake is applied, your vehicle travels another 144 feet before coming to a stop (NHTSA).